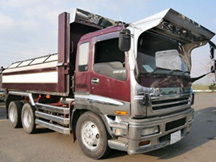 Used cars, used trucks, used autoparts, used engines, used forklifts. Today in Japan, there are roughly 5 million of cars abandoned every year, and 0.6 million of those are exported to all of the world. These figures estimated is increasing year by year. We have exported used cars, trucks, autoparts, engines, forklifts to south asian country since 1971. We deal in vehicles and forklifts of any Japanese makes (ISUZU, FUSO, HINO, NISSAN, SUZUKI, TOYOTA, MAZDA, MITSUBISHI, TCM, NICHIYU, and KOMATSU). 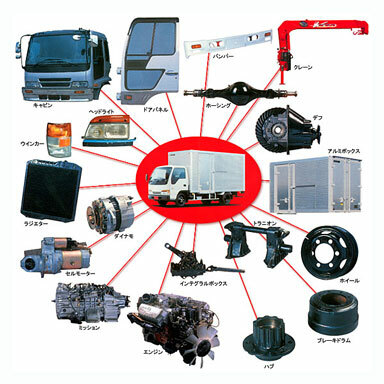 We have the network for used car/truck suppliers, which enables us to quote not only for our stocks but any kind of cars/trucks/forklifts in Japan. Anyway please feel free to contact us!! Copyright(c) WAGO INDUSTRIAL 2005- All Rights Reserved.